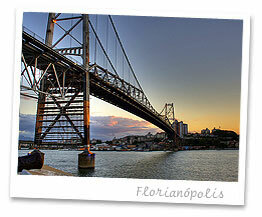 In this section, you will find a matchless photo selection of Florianopolis, divided into sections. A wide variety of sensations, reflected in images specially selected to get thrilled and surprised. A moment, a landscape, a tourist personage, a detail. A memory to keep and share.